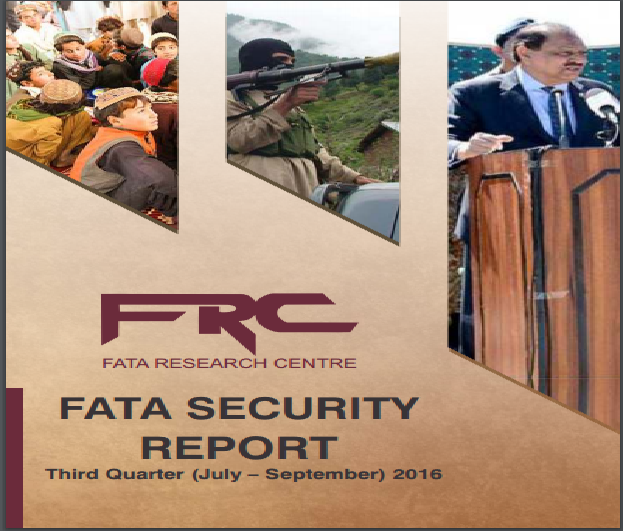 The security situation in FATA worsened during the 3 Quarter, July – September, 2016, as compared to the previous quarter. A rise in militancy incidents was observed during this me period. Civilians remained the prime target of militants, however, attacks on security forces were carried out as well and cross border activities were also maneuvered. Most of the casualties were caused to civilians which indicates that militants have somewhat regained their operational strength across the North Western region of Pakistan. A total of 52 terrorism and counter-terrorism incidents occurred during the third quarter, July – September 2nd 2016. The number of militancy and counter militancy incidents have escalated as compared to the 2 quarter of 2016, during which 37 incidents were reported. During the third quarter, 31 incidents were carried out by the terrorists while 21 counter-terrorism offensives were launched by Pakistan military forces against the militant elements.